"Not good? Lying does not become you George. You're a Washington." George Washington was made the first President of the United States of America for a reason: many viewed him as a competent leader capable of shepherding the fledgling country through even more trying times. Before being the leader though, hew as a rambunctious youth, apt to get in trouble like any other youth. It's a good bet that the trouble he gets into in The Order of the Forge #1 from Dark Horse is a lot different than what's on record. 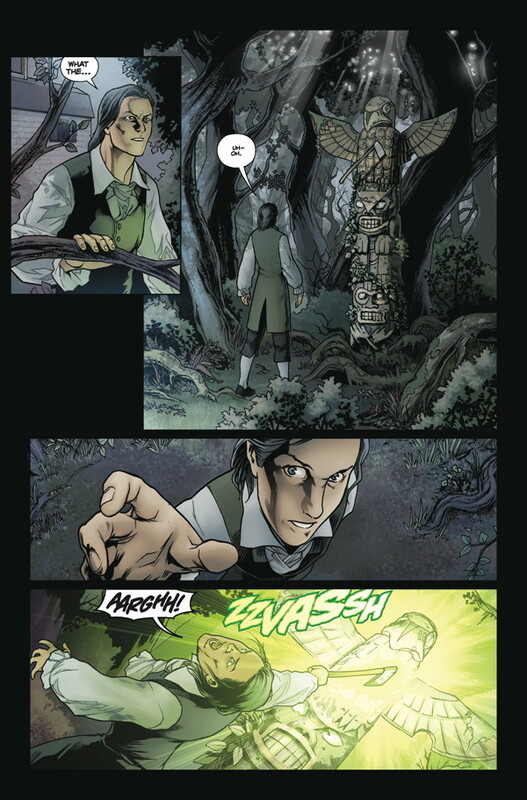 The issue is written by Victor Gischler, illustrated by Tazio Bettin and lettered by Nate Piekos of Blambot. Before he fathered a nation, young George Washington forged his legend in blood. 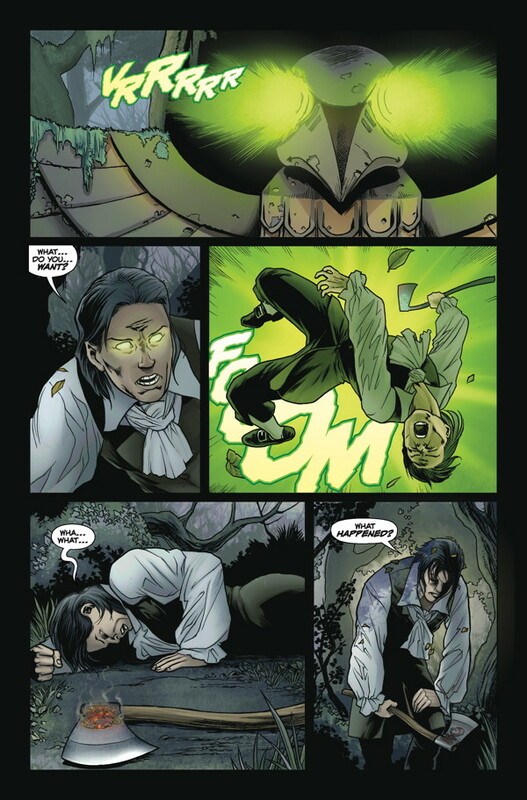 Imbued with the mystical powers of America’s original inhabitants, George—along with his friends Ben Franklin and Paul Revere—must stop an evil governor who wishes to rule an empire. Taking events from the past and altering them is certainly nothing new, but not many stories do it with past American Presidents. 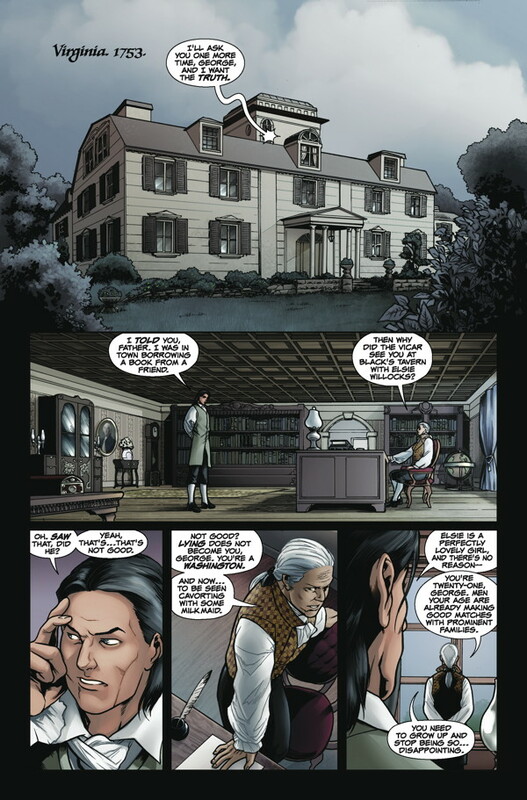 The most famous work in this regard is probably Abraham Lincoln: Vampire Hunter and The Order of the Forge #1 proves if it ain't broke don't fix it, as Gischler is preparing to put George Washington into some situations even he can't explain. The premise in the first issue features Washington being given a sort of Native American power, one which he doesn't fully understand. 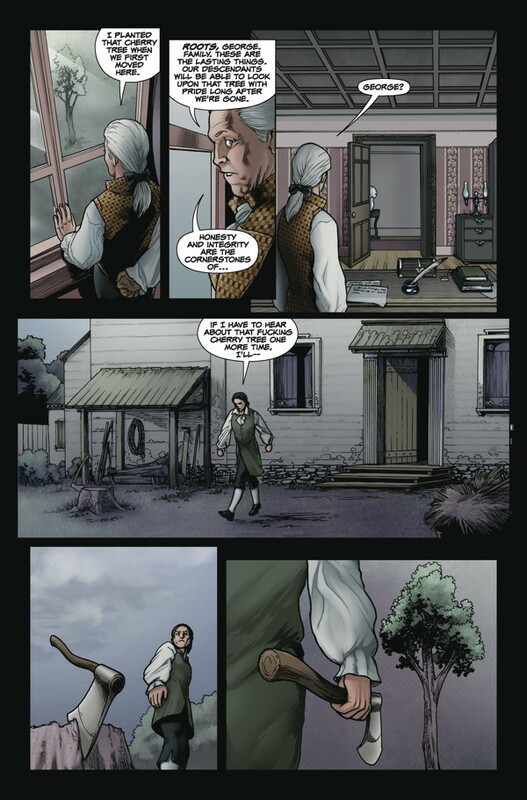 Coming along for the ride are Paul Revere and Ben Franklin, both of whom Gischler ensures maintain enough characteristics that they're recognizable to readers. He imbues them all with a frat boy mentality of sorts, something reflected in the crass language they always have at the ready for any situation. Depicting Washington and his era is Bettin, whose work at least appears historic, if not a little simple. His focus is largely committed to the main characters of the book, ensuring their looks jive with what readers expect them to look like. Much of the surrounding environment isn't really given much attention, save for Mt. Vernon and a few interiors here and there. 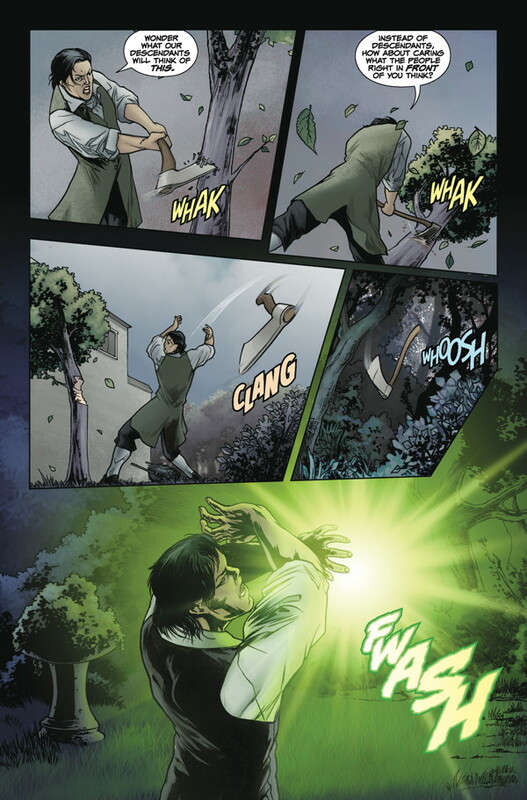 Bettin handles action sequences very well, as the movements of the players feels kinetic and explosive--especially when Washington is brandishing an axe against tree or foe. There's an abundance of inset panels that break up the standard layouts here and there, but by the end of the book it feels like the layout is nothing but insets. 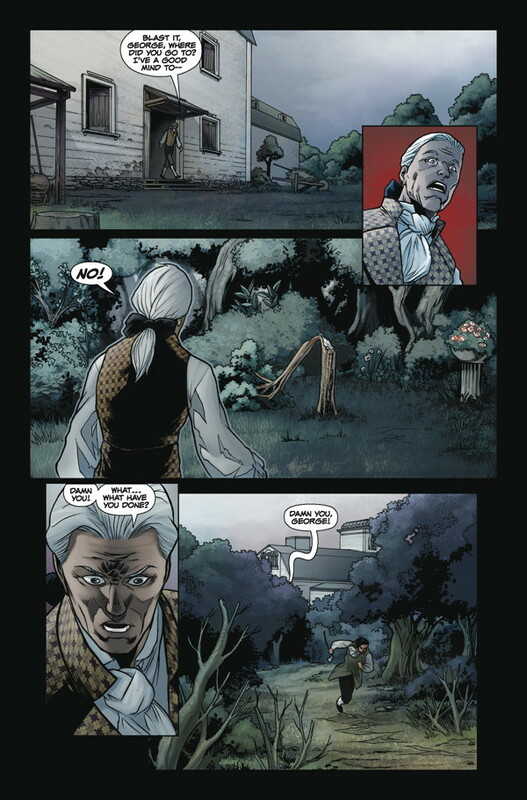 The Order of the Forge #1 is an anachronistic book that wants readers to know how unruly the founders of America really are. Washington, Revere and Franklin are all icons when it comes to freedom and sacrifice, but the first issue makes them feel more like regular guys. Gischler's characterization of them is one of crudeness and impulse; traits which may not necessarily be the first that come to mind for any of the three of them. Bettin's art largely captures the spirit of the era, delivering looks that readers will recognize relatively easily. 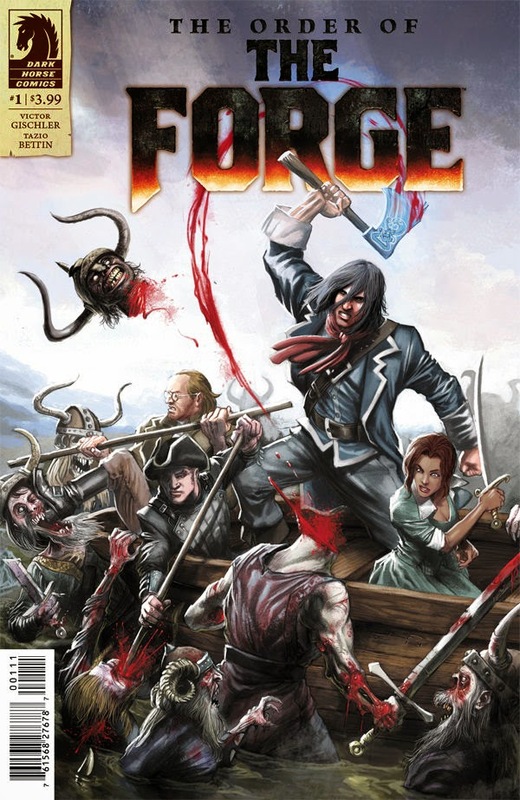 The Order of the Forge #1 starts off with an ambitious aim for Washington, even if it's not entirely clear from the issue what exactly that aim is (other than an axe imbued with mysterious powers). The Order of the Forge #1 is in stores April 29 with interiors below.